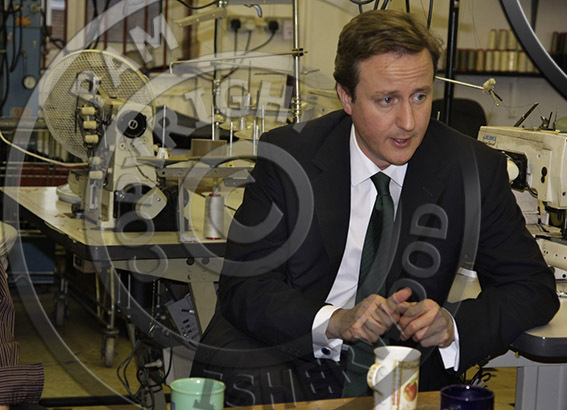 David Cameron, Conservative Party leader, visiting local clothing manufacturer 1 TRY Clothing, of Lawrence Road N15. Visit organised by local traders to promote Federation of Small Businesses‘ Keep Trade Local campaign. This place has shrunk from 20 workers to 4. 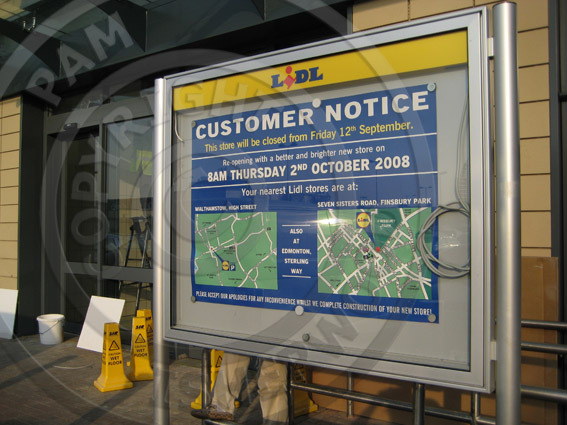 My local Lidl has doubled in size. Definitely not a venue for retail therapy.